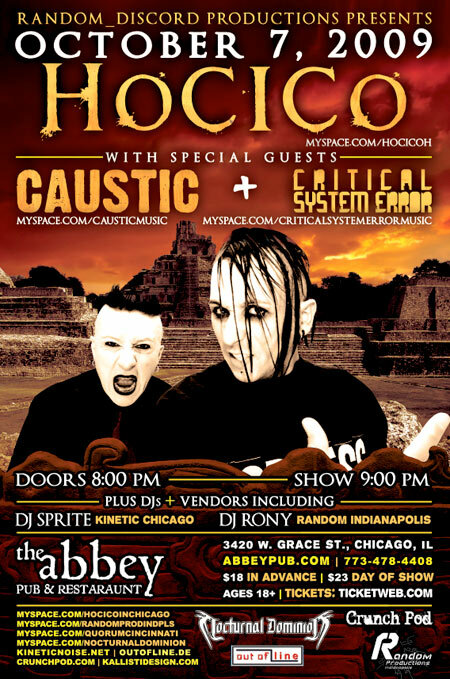 Here’s some advance warning for the upcoming Hocico + Caustic + Critical System Error show, which will also feature DJs Rony from Indianapolis and Sprite from Kinetic! The show will be Wed. October 7th at the Abbey Pub! ~ by infomorph on August 2, 2009.